Interior elevations are vertical drawings of interior cabinets and walls. 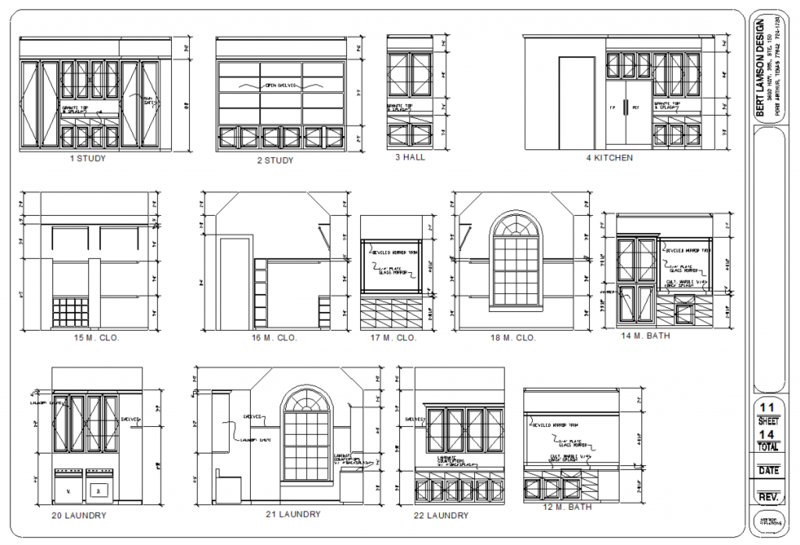 These drawings help the client visualize where different components of the cabinetry will be such as drawers, doors, and appliances. Elevations will also be drawn of walls that are unique in nature.